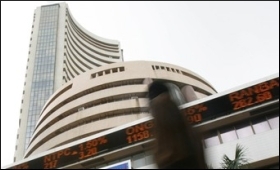 The benchmark Sensex rose on Tuesday, as a drop in global crude oil prices eased concerns about India's current account deficit. "Oil prices fell by more than 1 per cent on Tuesday, with the Brent crude sliding below $70 a barrel and WTI below $60, after US President Donald Trump put pressure on oil cartel OPEC not to cut supply to prop up the market," said Anuj Gupta, Deputy Vice President - Research - Commodities and Forex, Angel Broking. "We expect the WTI crude to slip to $58 to $55," he said.